This page acknowledges individuals who have made significant contributions to the field of harmonic analysis and the greater scientific community who have passed away. Dr. Williams, nuclear physicist and patent attorney, served as a founding member of the Industrial Advisory Board for the Norbert Wiener Center. He was a valuable resource, contributing both legally and scientifically, to the Center in its first few years. He gave the keynote speech at the February Fourier Talks in 2006, delivering a lecture titled, "How Universities Fumble the Ball in the Technology Transfer Game." Dr. Williams was also a close personal friend. He passed away suddenly in July 2006, a youthful and vibrant 67. John Benedetto delivered a eulogy at Dr. Williams' memorial service. In his tenure at the University of Maryland, Dr. Sweet was heralded for his passion and talent for teaching mathematics, as well as his brilliant research. He passed away tragically in 2004. The Daniel Sweet Memorial Fellowship is made possible by a generous donation from Dr. Sweet's family. John Benedetto delivered a eulogy at Dr. Sweet's funeral. Mathematics professor Dan Sweet, 61, died Sunday at Georgetown Hospital after suffering a stroke Nov. 10. 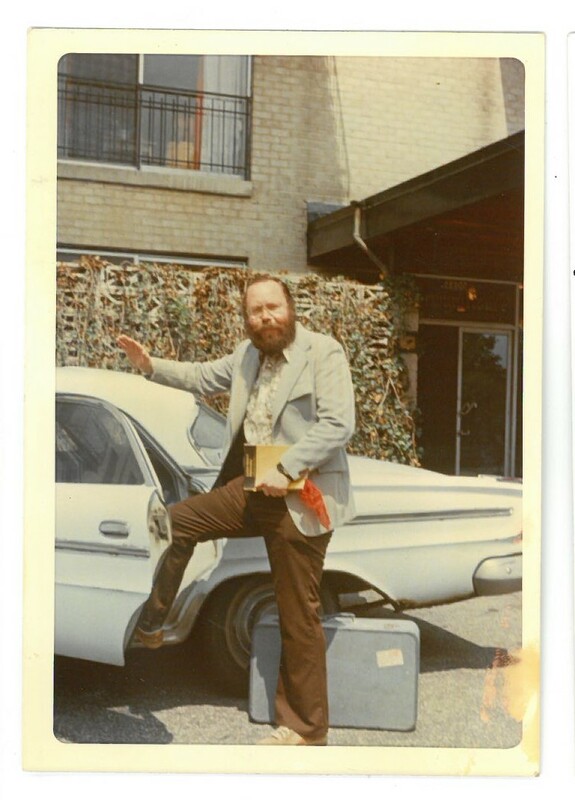 Sweet, of Laurel, was known for his passion for teaching and sharp-witted sense of humor. For example, university mathematics professor and longtime friend John Benedetto, remembered visiting Sweet at his home after he had major heart surgery a few years ago. "He pointed to his chest after surgery and said, 'Boy, I had a go through this to get a visit?'" Benedetto recalled. "His sense of humor, probably in the classroom you didn't see it, but he could've been a standup comic." Benedetto added Sweet's tough demeanor belied his sensitivity to people's needs. "He looked tougher than he was." Gene Harrington, a 1992 journalism alumnus, knew Sweet since he was 7 years old as a neighbor and as "a second dad." Harrington, now 35, struggled with the journalism school's minimal math requirements. 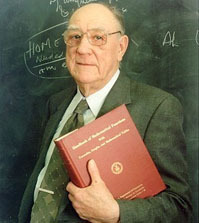 He attributed his passing MATH 110: Elementary Mathematical Models to Sweet's informal math tutoring. "Although he was a genius in his field, he wasn't a math wonk," he said. "He was just a regular guy blessed with an incredible intellect. He was able to communicate his genius and that was what made him such an effective teacher and so fun to be around." Born in Passaic, N.J., Sweet began his 35-year career with the university in 1969 after earning his doctorate in mathematics at Brown University, working for a year at the University of California, Los Angeles, and marrying his wife, Karen. "His passion was teaching at the University of Maryland," Karen said. "He never thought of doing anything else. He could of gone into the industry, but he received so much satisfaction from teaching." 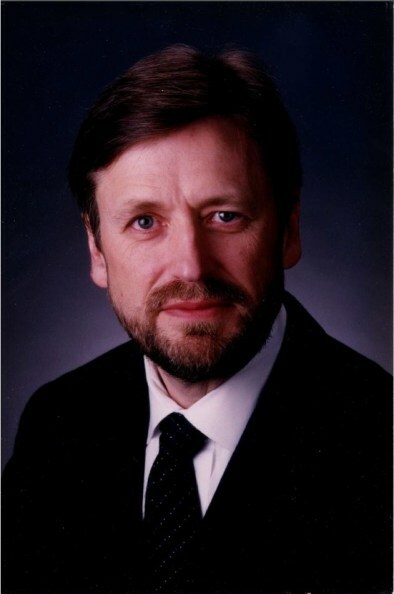 He won the Dean's Excellence in Teaching Award in 1989, given each year to one of the 250 faculty in the computer, mathematical and physical sciences college. While Sweet did publish scholarly research, math department Chairman Patrick Fitzpatrick said Sweet was a teacher first and a researcher second. "He published lots of research articles, but he chose to devote the majority of his time to his students," he said. Sweet presented complex math concepts with clarity and simplicity and was, in the words of math department undergraduate chair Denny Gulick, "the king" of MATH 410 and 411: Advanced Calculus I and II. The two courses are among math majors' most challenging, and he recalled students who put off taking the courses if Sweet wasn't teaching them, Fitzpatrick said. Sweet often taught more than 200 students each semester. While Sweet's family was unable to speak with him after the stroke, Karen took solace in the fact that her husband collapsed after teaching two of his classes. "So the last thing he did was something that he loved," she said. He is survived by his wife Karen, 60, and sons Daniel, 33, of Rockville, and James, 32, of Chesapeake Beach, Md. Donations may be sent to 11801 Rockville Pike, Condo #1403, Rockville, Md., 20852 for the Daniel Sweet Memorial Mathematics Scholarship Fund. Ying Wang, our mathematical daughter (Joe Lakey was her thesis adviser), granddaughter, and sister, died on Wednesday September 23, 2015. 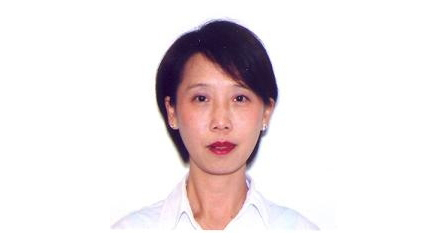 Ying was born on September 11, 1964, and was an Applied Mathematics graduate of Tianjin Technology University. She was Joe's first Ph.D. student, and graduated from New Mexico State University in 2001. The title of her dissertation was "Perturbations of Gabor frames". At the time of her death, she was an Associate Professor at Georgia Regents University (formerly Augusta State). Besides her expertise in harmonic analysis, her range included linear programming, C++ programming, financial mathematics, bio-mathematics dealing with mechanisms for renal blood flow control, and the use of frames in a variety of quantum mechanics problems. Notwithstanding her considerable mathematical skills and contributions, Ying's greatest contribution was her inspiring humanity. She was kind, caring, gentle, generous, thoughtful, loving, sensitive -- a gift not only to La Famiglia but to the whole human race. 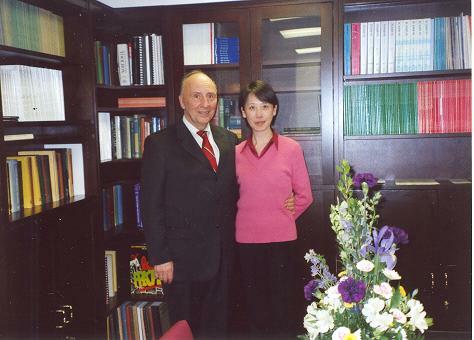 Picture to the left: Ying with her thesis adviser, Joe Lakey (far left). Her mathematical brother, Juan Romero, is beside her to the right. Steve Casey is between Ying and Joe, and Darrin Speegle is at the far right. 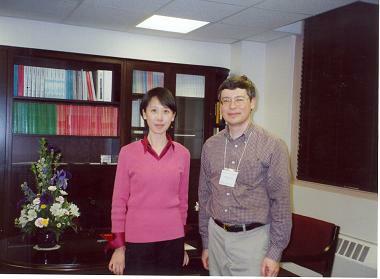 Ying and Chris Heil at the Norbert Wiener Center, 2009. Ying and John at the Norbert Wiener Center, 2009. Dennis Healy passed away in September 2009. He was a Professor of Mathematics and Applied Mathematics, and an affiliate Professor of Bioengineering. In addition, Professor Healy was a Program Manager for the Microsystems Technology Office of DARPA, and a Research Program Consultant for the National Institute on Alcohol Abuse and Alcoholism (NIAAA) at NIH. There is an obituary for Professor Healy in SIAM news from November 2009. Horst Elmar Winkelnkemper was born in Germany and grew up in Mexico. 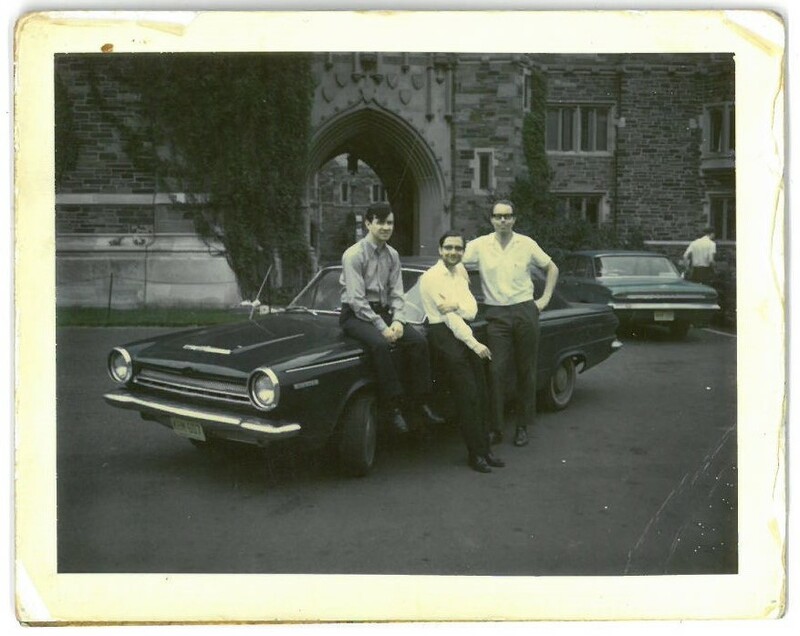 He attracted the attention of Solomon Lefschetz and entered graduate school at Princeton in the early 1960s. Elmar was attracted to the robust activity of Bill Browders' school at the time: constructing and controlling closed manifolds above dimension four via geometric constructions called surgery. Elmar formulated mantras such as, "A manifold is like a quadratic form," and, "Transversality unlocks the secrets of the manifold." When these mantras were expressed in lectures at MIT, Is Singer thought "Winkelnkemper" was an fictitious name for these mathematical insights. A first result of Elmar was that if the signature of its quadratic form were nonzero, then the degree of a self mapping of a manifold must be a perfect square. Later his thesis showed that the cobordism groups of manifolds with self diffeomorphisms had infinitely many linearly independent invariants. Elmar then used diffeomorphisms of manifolds with boundary which are the identity on the boundary to describe "Open Book" decompositions of closed manifolds of one dimension higher. Elmar and Bill Thurston used open book decompositions to show that each three-manifold has a contact structure. In the next period Giroux showed that all contact structures in dimension three are approximated by Elmar's open books. One may speculate that a signed version of this approximation result could provide a picture of the moving vorticity of three-dimensional fluid, a currently intractable problem. Elmar's "Graph of a Foliation" clarified the holonomy structure of foliations allowing non-commutative geometry to enter that area. In recent work, Elmar defied the logic result that many questions about finitely-presented groups are undecidable. He showed that each positive definite symmetric integer matrix with determinant one which is not equivalent over the integers to the identity matrix determines an Artin presentation of a non-trivial perfect group. The proof is a remarkable combination. Elmar constructs a four-manifold whose boundary would be a homotopy three-sphere if the group were trivial. This four-manifold, materializing the quadratic form, is impossible by Taubes' augmentation of Donaldson's theory of instantons. Elmar felt strongly the depth of these connections. To many Elmar Winkelnkemper passionately shared deep convictions and intuition even in areas outside of his expertise, and it seemed to this author he could find veins of gold by an uncanny, almost mystical intuition, reminiscent of the great Israel Gelfand. Swedish mathematician, Lars Gårding, passed away on July 7th, 2014 at age 95. He has made notable contributions to the study of partial differential equations and partial differential operators. He was a professor of mathematics at Lund University in Sweden 1952 - 1984. 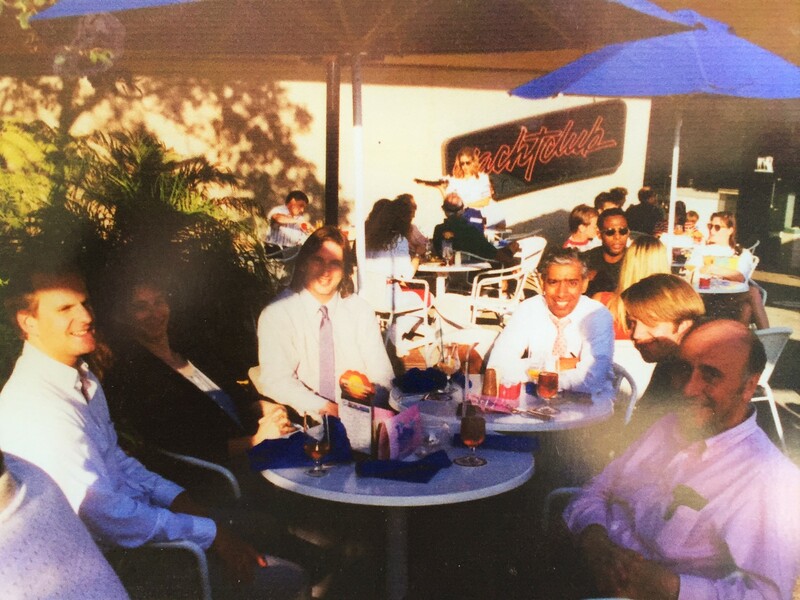 Together with Marcel Riesz, he was a thesis advisor for Lars Hï¿½rmander. He was a dear friend and father figure to the Director of the Norbert Wiener Center. John remembers his remarks in 1985 on the fact that there is no Nobel Prize in Mathematics, see here. The following is an obituary in the Swedish newspaper Sydsvenskan. 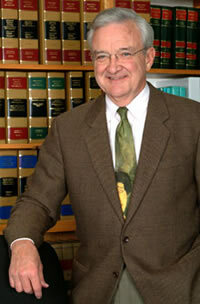 Dr. Olver's full obituary can be found in the June 2013 SIAM News. Kenneth G. Wilson, the Nobel Prize-winning physicist who pointed the way to a detailed understanding of some of the most familiar phenomena in nature, such as the transformation of water into ice, died June 15, 2013 in Saco, Maine. He was 77. Dr. Wilson has a full obituary in the New York Times. 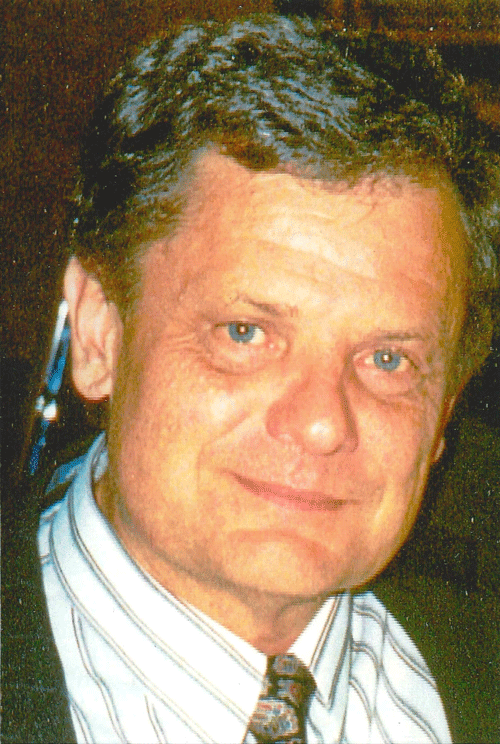 Björn Jawerth, born November 25, 1952, passed away on Monday, September 2, 2013. Jawerth was a former February Fourier Talks speaker and a brilliant Harmonic Analyst. Please visit the Björn Jawerth Memorial Site . 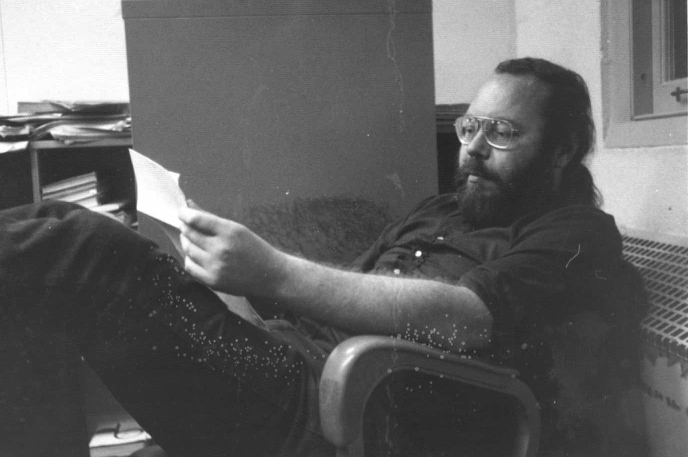 George Linde, born 1941, passed away on January 17, 2012. 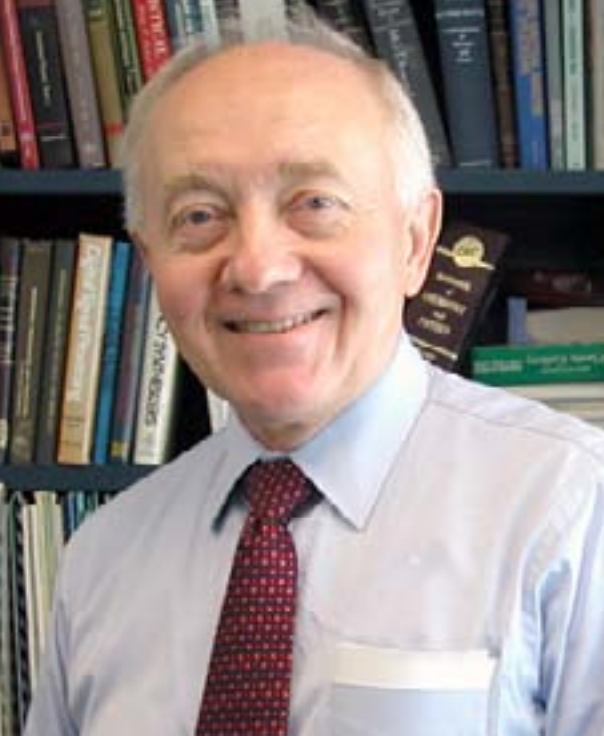 Linde worked at NRL and earned a MSEE from the University of Maryland in 1971. 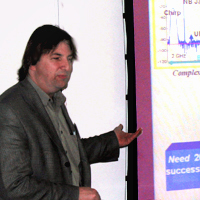 George made many significant contributions to projects with RADAR. The NRL has printed an obituary that is available on the NWC Repository of Waveform Design and Software webpage. 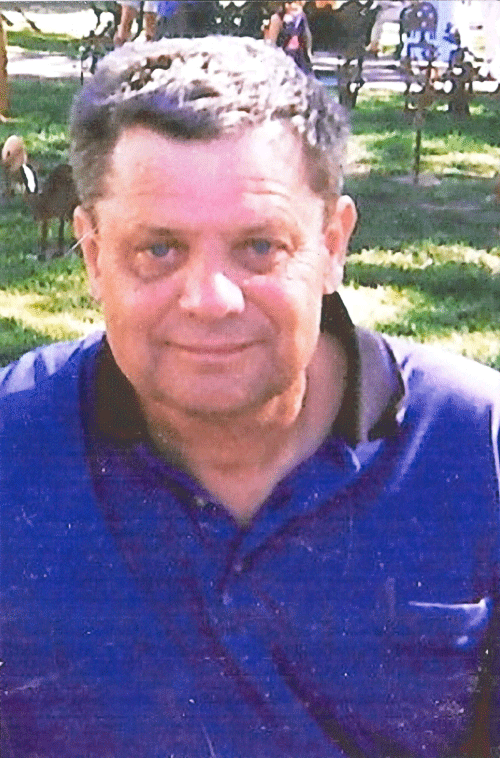 Lee Lorch has passed away on February 28th, 2014. He was 98 years old. 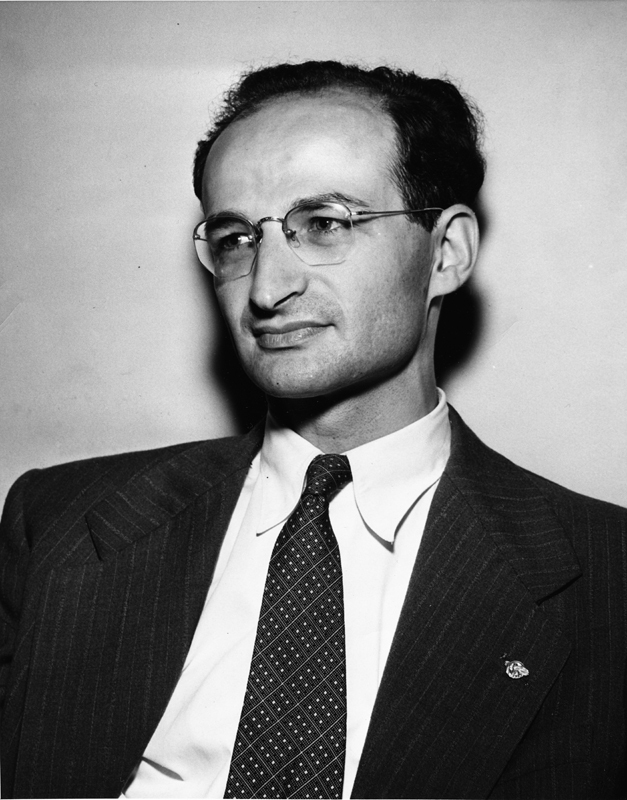 As a brilliant American mathematician, Lorch fought for equality between blacks and whites, men and women, and all people. Jean-Pierre Kahane has published a tribute to Lorch in the French publication L'Humanité. Translated version here . The MAA has also published an article celebrating Lorch. In addition, the New York Times ran an 1800-word obituary. Professor Joe Auslander (UMD) organized a special session through the MAA dedicated to Lee's contributions which we include here. The following video, "Conversations with Lee Lorch" features Lee discussing his experiences with social justice.